As you may already be aware, DivX is now a private company (again). As we look forward to new, innovative products (more on that soon), we’ve decided to discontinue work on the DivX Mobile App. The app will no longer be available in the Apple App Store or Google Play Store as of April 13, 2018. You can continue to use the app without interruption, as long as it has already been installed on your device. We will continue to offer support for DivX Mobile App until December 31, 2018. DivX remains focused on helping people around the world enjoy digital media across all their favorite devices. We don’t believe that the DivX Mobile App was the best way to accomplish that. There were significant costs associated with the app, and frankly, it wasn’t as popular as we’d hoped. We know this will be frustrating for some users — we wish we could continue to work on and improve the DivX Mobile App — but we made a decision to refocus our business on new, better products. We apologize for any issues this causes for users. 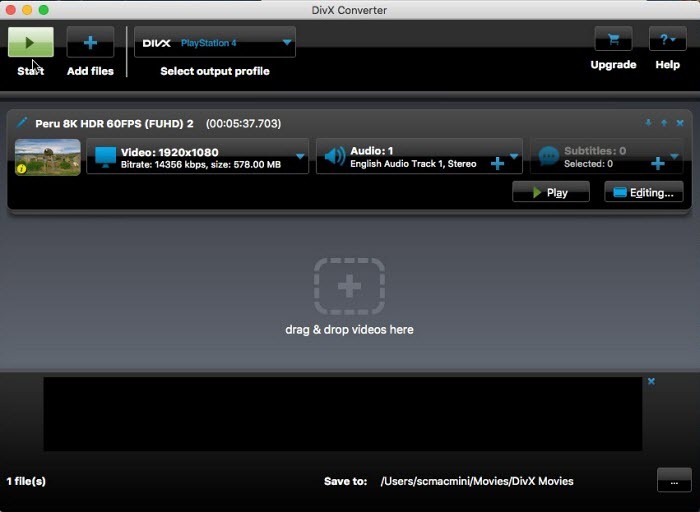 We will continue to offer our desktop software (the free software includes the ability to cast video, along with video playback and conversion), which you can download from divx.com. Our focus remains on empowering users to enjoy media on your terms. There are exciting plans for DivX and we can’t wait to share them with you. We hope that our new products make an even bigger impact on you and how you enjoy our technology. Read can read the Support FAQ for more information on DivX Mobile Support.